Virtual Classroom Setup - Create Your Online Training Environment. Anyone involved in training knows full well the benefits of giving instructions remotely. The tool that often comes to mind for organizing online classes is web conferencing. At first sight, this seems to fit the bill but when taking a closer look, it becomes clear these tools only provide part of the overall solution required; an instructor that has gone along this path will know that while web conferencing has come to be the standard for demonstrations and webinars, it doesn’t address the more tricky challenges of managing and conducting courses, such as simulating a physical classroom experience or creating computing environments. Want to find out how a virtual classroom can boost your training effectiveness and drive revenue? Talk to an expert today! For a physical classroom experience, for example, the instructor will often want to view a student’s screen, sometimes following a request for assistance, and at other times, will just want to circulate around the class and glance over a student’s shoulder, all without involving other class members. This is something that web conferencing can’t do. Furthermore, conferencing requires the student to initiate screen sharing that takes away the instructor’s absolute control of the situation. The biggest challenge, however, comes when trying to create and provision the computing environments needed for technical training sessions where participants need to learn to use enterprise systems, administration or development tools through hands-on experience. This takes a tremendous amount of time and resources when organizing either a physical or virtual classroom. Beyond this, the instructor may encounter problems once the class has started that may require environment changes like configuration tweaks, adding servers or provisioning more memory. CloudShare’s cloud-based training solution powers thousands of software training sessions each month, from large-scale events to impromptu meetups and online virtual classes. Instructors are able to roll out virtual classrooms in minutes through the CloudShare platform. Below is an example of how CloudShare is allowing training professionals to create a virtual classroom that is identical to the best local classroom experience. CloudShare is a dedicated cloud based training platform that addresses not just hardware logistics but all the complexities of training infrastructure. Tasks that would take many man-days of work can be rolled out in record time. Virtual training environments are prepared and fired up in a matter of minutes complete with all the necessary training configuration. Prior to a training session, instructors login to the CloudShare platform and build one master virtual environment using CloudShare’s gallery of pre-configured virtual machine templates. Alternatively, training environments can be created from scratch by uploading customized virtual machines to a new or existing CloudShare environment, or by selecting a standalone server and virtual machines, also available within the template library. The master environment and each student environment reside on their own private network. The instructor has the ability to adjust the RAM, disk storage, and CPU for each individual machine within an active environment, at all times. He or she has full control over the hardware and networking configuration and can define any network topology, as needed. Either way, the instructor can run any instance of the environment, install any additional software required and scale up or down classroom resources without depending on external infrastructure support personnel. To accompany a training course, there is often a need to provide for additional materials. Cloudshare offers instructors the option of incorporating training material links into the environment. In this way, all coursework is sent to students in one instance and sharing is simplified. Before a class, the instructor defines the class policies and student access rights. CloudShare provides full access control settings and the policy can be extended or changed as necessary. The policy defines the environment’s lifetime, specifying the amount of time it will be up with all machines running, the hours or days that the students are able to use the environment, and at what point the environment will be archived and securely deleted. Remember, as the class is virtual, students can access their environment at any time and from anywhere so it important to define align the policy with your course objective. The instructor can also configure the “suspend” feature which puts the environment into a “sleep” state when not in use. This is a valuable feature for cutting down on costs and saving up on unnecessary usage and memory. Each student is provided with his or her own separate environment instance via a simple URL link that is sent to them prior to the start of the class. The link is a single-use token, granting access to one environment that is a private copy of the base “blueprint” saved in the platform. The instructor and student can alter or customize each environment post-creation without fear of interfering with other environments. During class, the instructor has full access to all of the student environments via the split-screen instructor console where student engagement can be observed in real-time. Additionally, an instructor can view the students’ virtual environments as they work, identify issues if a student is lagging, monitor usage, including the use of collateral, applications, and sessions, and access a student’s machine for guided “hands on” work, also known as “over the shoulder”. With the “over the shoulder” feature, the experience of the virtual training software course is similar to a real-life course where students can raise their hand (in this case their virtual hand) if they have any questions and chat with the instructor in a private message or a classroom chat. If a student requests assistance during a session, the instructor is able to easily access the student’s environment and assist. Unlike web conferencing tools, here there is no need to grant privileges or share screens. The instructor can drill down into a selected student’s lab and provide personal assistance to questions and problems, all from his or her own terminal. Moreover, the instructor can suspend/resume each student’s environment and can even advance the student to the next level, if needed. A snapshot is a copy of an entire computing environment, including every server, configuration, and application. The instructor can ‘take snapshots’ at any time of an individual student’s environment, or of the whole class in a single action. This is a tremendously powerful tool that lets the instructor roll back the student’s working environment to a previous point, something that can be invaluable if a student has corrupted their system environment and configurations. Additional uses for the snapshot tool include freezing the session at the end of a course, ready for next time, or introducing pre-built scenarios for students to work on as exercises, such as planting a problem that needs to be resolved. Once the exercise is completed, the class can continue where they left off. The analytics module provides a direct view into tracking and managing your resources and can help you monitor usage trends, activity and growth. You can also identify which blueprints or environments are the most used, which runtime policies accounted for the highest costs and see peaks in usage. Want to find out how a virtual classroom can boost your training effectiveness and drive revenue? To summarize, the most time consuming, error-prone and technically complex tasks in organizing a virtual class are all connected to the computing environment and this is where CloudShare excels. 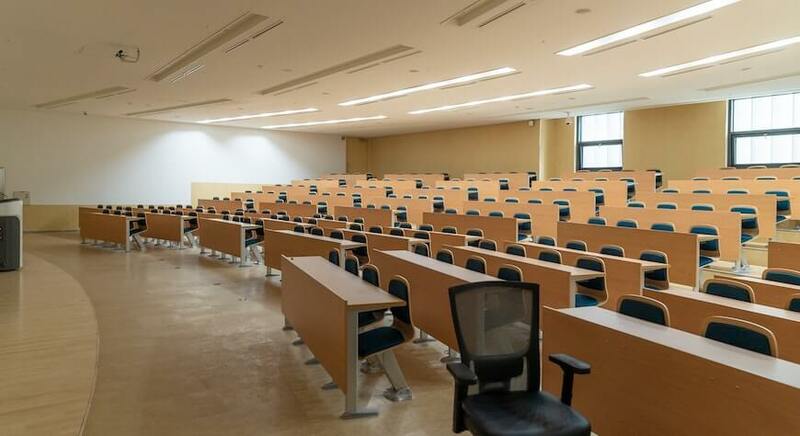 While this post is all about setting up a virtual classroom, the most powerful benefits of virtual environment management described above – setting up, cloning and changing complex computing environments on the fly – provide a physical class setup with the very same advantages. Furthermore, there are additional benefits that are specific to physical class environments, but we will cover those in another post.